Wine from Eastern Europe is on the cusp of being the next big thing. All the elements are there: an ancient grape-growing tradition, great terroirs, indigenous varieties, new investment, and a youthful generation of farmers and winemakers who came of age after the fall of the Berlin Wall. Before this epic event, wine in Eastern Europe was mainly a bulk product from frightfully high yields resulting in quality on par with Yugo or Trabant. 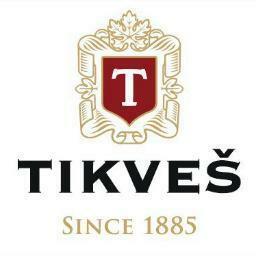 Founded in 1885, Tikveš Winery has witnessed the independence of the Balkans, two world wars and one cold one, yet through it all they have continued to make wines from grapes native to the region: RKaticeli, Kratosija, Vranec and Plavec. With the fall of communism and independence of Macedonia this historic estate was privatized and new investments were made to update the practices in the vineyard and cellar. Sustainable farming has replaced industrial farming, yields have been lowered and indigenous varieties have been preserved. With the assistance of Philippe Cambie, they have modernized their cellar practices by utilizing temperature-controlled stainless steel for fermentations with concrete and French oak barrels for aging. Dark fruit good finish, integrated tannin structure. A steal at 20 dollars. This wine is from Macedonia and made from a premier wine maker named Phillip Cambie. Robert Parker 94"From Macedonia–two outstanding wines imported by Eric Solomon–both 2010s. A wine I gave an amazing 94–the Tikves Belavoda–made from Plavec Malic and Vranec. Tasted them with their consulting oenologist Philippe Cambie at his lab. Truly worth tasting."